You have built up a considerable amount of experience in the International Casino Business, what are the key aspects that you draw upon in your role as Trainer at Totally Gaming Academy? I’ve been in the industry for 26 years now, with over 18 years in various management roles in nine countries on four continents. I have worked for a variety of companies, including Sun International, Queenco, and Kerzner International. With such a diverse career, I have had the chance to see and manage operations in very different settings and worked with very distinctively diverse company philosophies. All this came together to form an invaluable set of skills, covering all areas of casino operations and company management based on the experience gathered, and on the relentless urge to always understand the hows and whys of every aspect of successfully managing a business in our industry. The most important part of the past 26 years has been the ongoing learning, the need to evolve, to keep up with the fast pace of development in the industry. While working in Chile, for example, I thought it was important to know and understand how things are done in Macau which makes the territory so successful. While this had no immediate impact on my work or life in South America, it gave me a general view of the business to better place the one I was managing to the global market place and ultimately achieve better results by applying knowledge generated elsewhere in my own business environment. Firstly, I would like to pass on this mentality of openness and “Kaizen” (the ongoing search for doing things better and more efficiently) to all attendants of my course. I will also share my knowledge on table games covering the most relevant areas of operations from marketing through mathematics to managing your human capital. I am confident that all participants will walk away with a different view of the business and ideally will apply the acquired knowledge to increase productivity in their respective casinos. Which Totally Gaming Academy training course are you responsible for? I deliver the Table Games Masterclass, which is just one of the many courses offered by TGA. I create all course material which covers a plethora of relevant subjects that today’s casino managers must possess to be successful. What is the timetable for this year’s events? We have just finished one course in London, but there’s another one for Amsterdam in September. We also have lined up some in-house training courses, which take on a more direct approach, based on the actual needs of the casinos in question, and can be tailored according to the training needs of the people attending. You have over 25 years in the casino industry. What aspects of the course do you think would have benefited you most, if the opportunity to attend a training event such as this had been possible during your career? Unfortunately, the casino industry still lives in a bit of a bubble, where the education of managers is not considered of importance by owners and executives. People carry on doing things as they have been doing for decades, because that is what they know, and think works, completely ignoring changing customer needs, different global market place approaches, and so forth. With the Totally Gaming Academy we are aiming to change this by showing these managers how they can achieve better results through improving themselves. Eventually the results will speak for themselves and will show decision makers the importance of ongoing education. I’ve always kept a keen eye on trends and news of the industry, but not everyone is self-motivated. I was lucky enough to work with companies and managers that realised my potential and helped me to achieve my goals, both personal and business related. The result of this privilege is that now I get to pass on the knowledge I have gathered throughout the years with the Totally Gaming Academy. 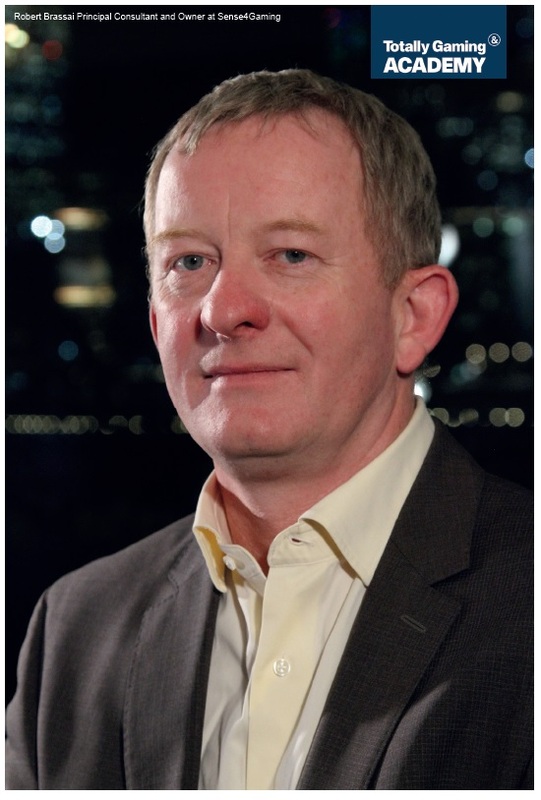 Why should Casino Executives attend the Table Games Masterclass? You would be surprised at the low level of factual knowledge in the industry. I know managers with decades of experience who lack the understanding of some of the most basic principles that move the casino business. 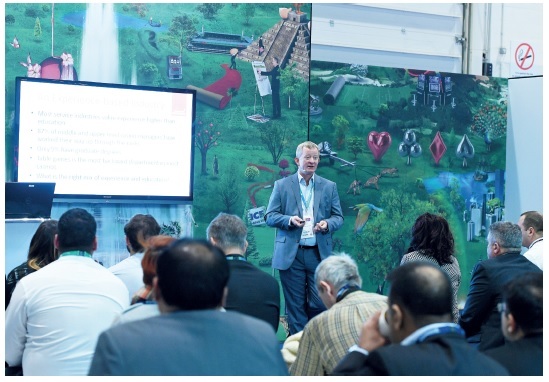 As well as this, they will receive up-to-date, well-researched knowledge on the latest trends, solutions, and methodology, which will all be applicable in today’s gaming floors for generating better results and creating better casinos for both clients and employees. Imagine you are back at a casino: what would you say to your Director of Casino Operations that would convince him or her that you and your colleagues should attend? I would tell them that if they trust us with making decisions and policies that can make a huge impact on the casino’s earnings and bottom line, we should be as sure as we possibly can to take those decisions based on knowledge, rather than a gut-feeling. One of the best ways of acquiring that knowledge would certainly be attending the Totally Gaming Academy courses. What were the most compelling reasons behind you setting up your consultancy Sense 4 Gaming? I reached a point in my career where I had achieved everything I wanted to achieve as an employee. I decided it was time to apply all the knowledge I had accumulated in a different setting. While I never looked at my jobs as a 9 to 5 affair to just pay the bills, as a consultant I can concentrate on parts of the business which interest me the most and that show significant results for any casino company in the short and medium term as well without the distraction of day to day operations. I can now concentrate on strategic aspects of operations, including but not limited to, yield management, offer and demand relevance, the right kind of marketing, use of big data, etc. Can you outline the various features and benefits that Sense 4 Gaming can provide casino operators? I started this company with the vision of providing services on operational optimization, but it soon became much more than that. With the help of my partners, all experienced and renowned experts in their respective fields, Sense 4 Gaming now offers complete solutions for the casino industry from the setting up of new projects through operational audit to full management contracts. This is still a very young company, but given the incredibly good reception for what we stand for, we are expecting a stellar 2018 and aim to be a major player in the industry within the next five years. This industry has a lot of consultants - what aspects of Sense 4 Gaming set it apart from the rest? To use a popular American expression: we put our money where our mouth is. We guarantee results. Simple as that. If we go in as consultants and don’t achieve the promised targets while the client follows our recommendations, we don’t charge a penny. It’s all set up to create mutually beneficial relationships. 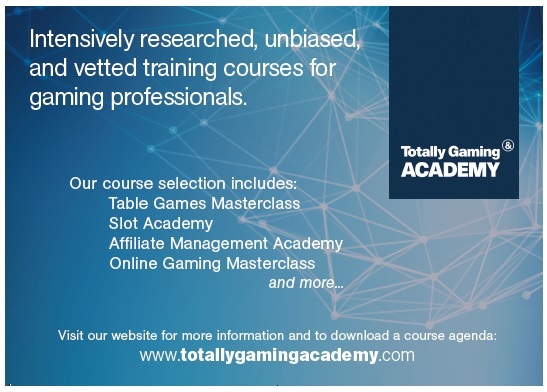 How can readers find out more about the Totally Gaming Academy 2018 events and Sense 4 Gaming?